With Vivaldi 2.4, we’re introducing unique functionality that lets you move buttons between toolbars. This is a lot bigger than it sounds. Today’s update also gives you new ways to manage and access your Bookmarks, set up multiple user profiles and make simple calculations with a cool new built-in calculator. 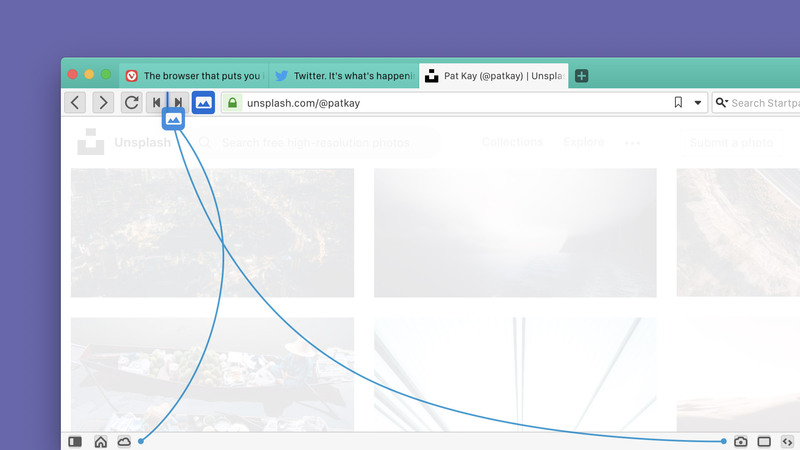 Toolbars don’t just dictate how your browser looks, but how you interact with it. You can now configure the toolbars in Vivaldi to meet your needs and get easy, immediate access to your most frequently used functions. We’ve always worked towards giving you a fully customizable user interface. The first step was giving you the possibility to remove buttons from the Navigation Toolbar, only displaying the ones you need. Vivaldi 2.4 opens up a whole new range of options on this front. In addition to hiding buttons, you can now drag them between the Navigation and Status toolbars – a functionality unique to Vivaldi. Want your Image Capture or Tab Tiling options next to your Back Button? Or to have a Reload button in the Status Bar? Now you can. Hold Shift while clicking a button to drag it to a new position, releasing the click to drop the button in place. We’ve also redesigned and re-engineered the buttons themselves and redrawn our toolbar icons to make them more consistent and friendly. These changes lay the groundwork for more features and customization options to come. Just a few minutes of tinkering can turn Vivaldi’s interface from maximalist to minimalist, and vice-versa – exactly the way you’d prefer. To reset the toolbars back to their default state, right-click and select “Reset Toolbar to Default”. Or you can head to Settings → Appearance → Window Appearance → Toolbar Customizations and click on “Reset Toolbar” for the one you wish to reset. Sifting through your Bookmarks for the right one? 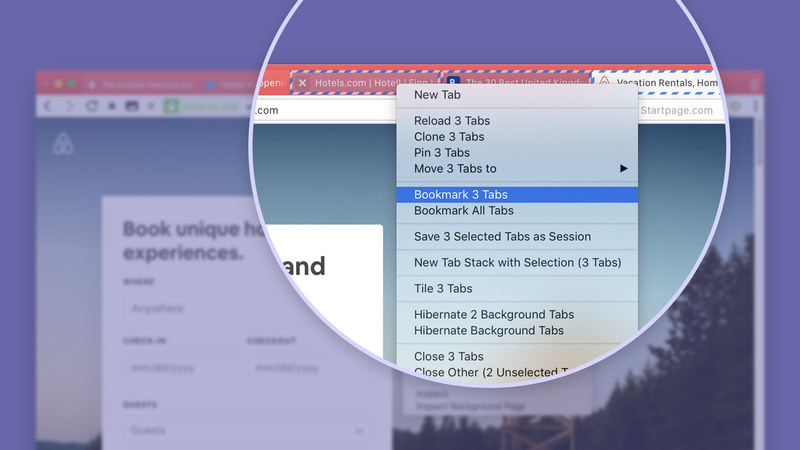 Now you have more bookmarking options that let you manage and access your Bookmarks better. 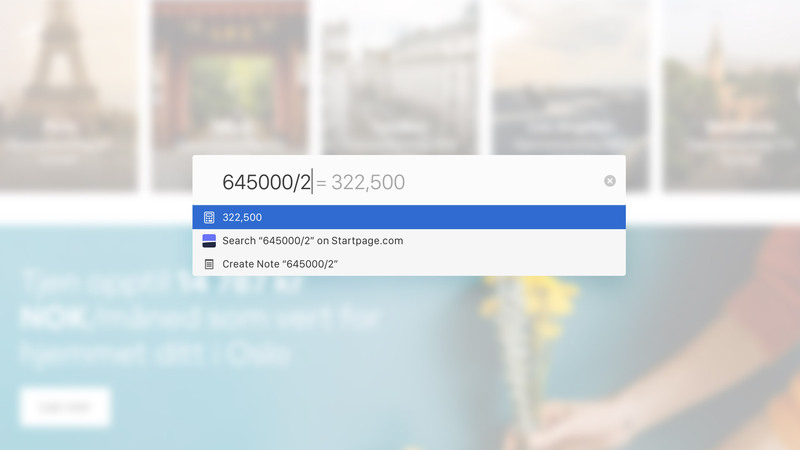 Bookmarking selected tabs: We’ve added another handy feature for quickly making folders containing collections of related sites or for picking up where you left off. This is useful if, for example, you are looking at purchasing options across a bunch of websites. Save the selection of related tabs and return to them at a later date, even from another machine (via Sync). Select your tabs (Shift or Ctrl clicking) and bookmark them via the context menu (right-click), Quick Commands, or you can map a dedicated keyboard shortcut. The tabs will be added to a date stamped folder which you can manage via the bookmark manager. Context menu support inside folders on the Bookmarks Bar for Windows and Linux has been added as well. Now you can access all your Bookmarks within folders and from the right-click context menu. 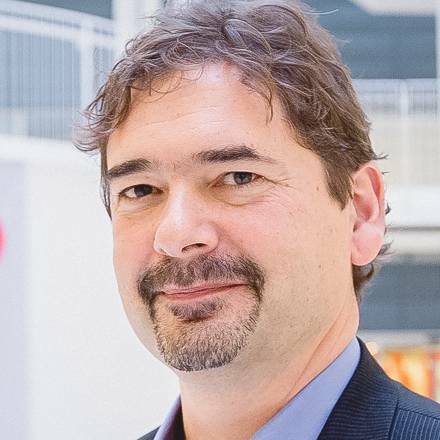 Now you can create multiple “users” without logging into a different operating system user account, or the need to maintain multiple standalone installations of Vivaldi. Each profile that you create will store a separate set of Bookmarks, Speed Dials, Extensions, cookies, browsing history, etc. Once you’ve set up a roster of profiles (for example “Work”, “Home”, “Kids”, etc), you can customize each of them however you like, including giving them different Themes and Toolbar customization. You can even configure the way you control the browser on a per-profile basis as well (e.g. different Mouse Gestures, Keyboard Shortcuts between profiles). This is really powerful – you now have two (or more) unique browsers for the price of one. Switching between profiles is as easy as clicking the Profiles button on the right of the Address Bar. By clicking on it, a list of all configured profiles can be accessed. You can also open the profile manager to set up new ones from this menu. There’s another useful feature in this menu as well. Clicking Guest View will open a new window where searches, sites visited, cookies, and temporary files won’t be stored by Vivaldi. 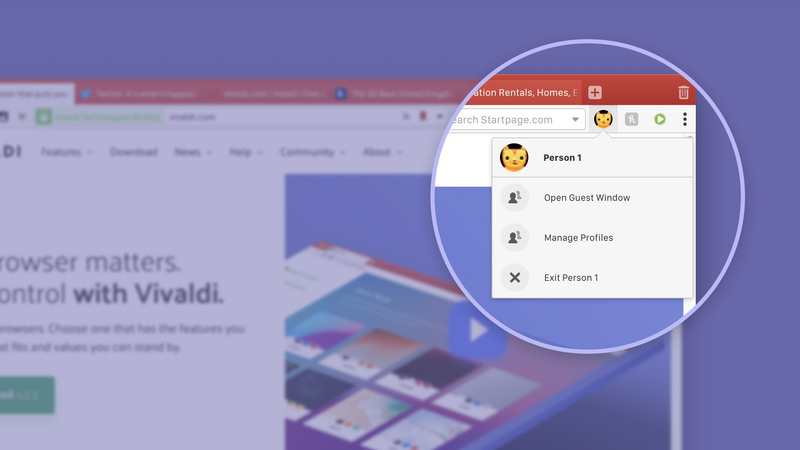 It uses Vivaldi’s default look and settings and the Guest won’t be able to change any of your browser settings or access your data while using the Guest Profile. You can enable/disable and manage your Profiles via Settings → Address Bar. What’s more? Profiles are syncable – any that you create, could be synced across computers using different Vivaldi Accounts. We’ve added a built-in calculator to Quick Commands so making quick calculations is more convenient. Simply Press F2/⌘E to open Quick Commands, enter your equation, press Enter, and the result is copied to your clipboard. More control of Tab Stack creation. You can now disable/enable “Allow Tab Stacking by Drag and Drop” in Settings and adjust length of the tab hover delay to avoid creating a Tab Stack accidentally. Rename a Tab Stack with a double-click to keep your Stacks organised and easy to find; be it travel, shopping or social media. When you select text on a page and use the context menu to do a search for that term, you can now have the results of this search load in a background tab. (Settings → Search). Give our new version a try. Part of the fun is the joy of discovery. Enjoy our new features and improvements, and keep your feedback coming in. We always love to hear what you think.